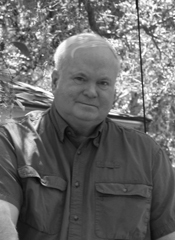 Pat Conroy is the New York Times bestselling author of two memoirs and seven novels, including The Prince of Tides, The Great Santini, and The Lords of Discipline. Born the eldest of seven children in a rigidly disciplined military household, he attended the Citadel, the military college of South Carolina. He briefly became a schoolteacher (which he chronicled in his memoir The Water Is Wide) before publishing his first novel, The Boo. Conroy lives on Fripp Island, South Carolina. At the South Carolina military academy the Citadel, amid the tumult of the 1960s, Cadet Peter Cates is an anomaly. He is a gifted writer, a talented basketball player, and a good student, but his outward successes do little to impress his abusive father. Instead, Cates is mentored by Lt. Colonel Courvoisie, an imposing and inspiring man whom the cadets have nicknamed “the Boo.” But when Cates writes a searing letter condemning the school’s meek response to a stabbing on campus, his bond with the Boo will be threatened as both are forced to confront what it means to be a man of honor. 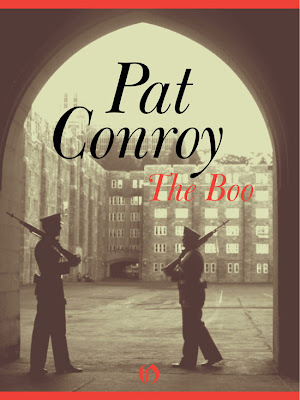 Set against the richly drawn military school backdrop that Conroy would return to in his bestseller The Lords of Discipline, The Boo is an unforgettable story of duty, loyalty, and standing up for what is right in the face of overwhelming circumstances. And here I thought I'd read all his books.... Thanks! I just got his book, "My Reading Life," this week and am looking forward to reading it.